Create instant traffic for specific keywords and geographic areas. Plans for all business sizes. Our team at LOJO has been managing Pay Per Click marketing campaigns for a little over 5 years. We believe in helping clients spend their advertising budgets both specifically and effectively. Not all traffic is good traffic, hence the importance of finding the right traffic. 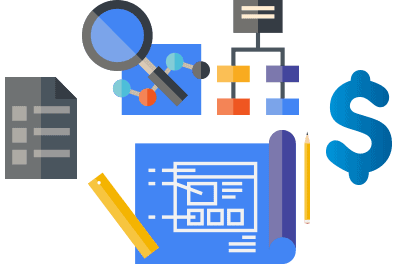 Our Google Adwords certified team will assist in the selection of proper keywords to bid for, proper ad creation, and focus on what happens after traffic comes in to ensure best opportunity of conversion. Whether you are wanting to run a Pay Per Click campaign for Google Adwords, Yahoo/Bing, or social media sites such as LinkedIn or Facebook, we have the tools to manage the campaigns on your behalf. Your plan may be specific to the Roseville, Rocklin, Sacramento area or anywhere else in the United States, no matter, we can perform the needed research and verify the results are on track. Give us a call today to speak with a member of our team for more information. Maximizing your resources for a tailored-fit PPC campaign. It’s true that there’s no definitive blueprint for any businesses when it comes to starting your own PPC campaign. Here at LOJO Marketing, we tweak our general process to meet your business’ needs in starting or tweaking your existing PPC campaign. It is difficult to understand the concept of PPC campaigns and how to run them all alone. That’s why you can rely on LOJO Marketing to help you get the best results from you budget on running PPC advertising campaigns! Targeting the market you’re interested in is the main purpose of a PPC campaign. Along with this, we will clarify your objectives in running ad campaigns for your business. Are you looking forward to generate more leads for your business? Are you simply promoting your brand? For whatever purpose you want this campaign to serve will affect how we plan your campaigns all throughout the process. Keywords will be determined after extensive research, while taking your preferences, objectives, and budget into consideration. Here at LOJO, we look for the most profitable keyword list that will not only help you in your campaign, but also maximize your budget so you can run more campaigns. To attract visitors to click on your ads, you need to create a copy that will hook them in. It’s not enough to instruct them to enter the site, but make these paid traffic convert down the sales funnel. A good ad copy can help you reel in interested visitors and turn them into potential leads on your landing pages. Currently we’re offering Google AdWords Account Management as the major PPC campaign runner in the Internet. During this phase, we look closely at where your ads can lead you. Aside from AdWords Management, we also offer Landing Page Optimization services to turn these paid traffic visitors into healthy leads for your business. After all these preparations, it is now time to execute your ads to major search engines! Over time we will measure and analyze data that we have gathered and turn these insights into suggestions as we tweak your campaign for better referrals. We might need to change some low performing keywords, optimize some of the landing pages, or rewrite ad copies. Q. What is PPC advertising? A. Also known as Pay Per Click advertising, PPC is an online advertising technique used on search engines such as Google and Bing, wherein an advertiser (you) will be charged only when your ad is clicked on. PPC is designed to help businesses drive targeted traffic to their website. Q. What's the difference between Pay Per Click and Organic Search Engine Optimization? A. PPC positions are paid ads located at the top and the bottom of the search engine results page. On the other hand, search engine optimization (SEO) yields organic search rankings, and these are naturally acquired through various SEO efforts such as link building. These are often found in between the ads in a search engine results page. Q. Is it enough to be #1? A. Not necessarily. There are various factors that affect search, one of which is user behavior. You may be the first choice and it will bring you a lot of traffic, but with less to no conversion at all. Positioning is quite important, but there are other things that we can do for your campaign to reel in converting visitors, and push those visitors into customers. A. Yes! We mainly use the Google AdWords Platform, and in some cases, Google’s very own Analytics for measuring results such as conversion tracking. 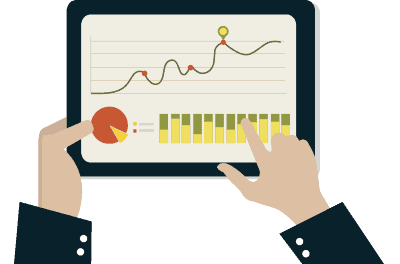 Major PPC engines offer their own version of tracking and reporting tools. Q. How do I choose keywords? A. Choosing the right keywords is the most important step of any PPC campaign. LOJO Group relies on several factors such as Click Through Rates (CTR), competitiveness, and more in selecting the right keywords for your campaign. On the other hand, client factors such as budget constraints are also taken into consideration. In selecting the best keywords for your PPC program, we mainly use Google’s AdWords Keyword Tool, along with competitor analyses, trends, Analytics, and Search Console data. Q. What is a Landing Page? A. A Landing Page is a specific page in your website where your user is directed to after clicking the ad on a search engine result. Q. Do I need a Landing Page? A. Yes. Landing pages are designed to receive your visitors and continue to push them down the sales funnel. Landing pages inform your visitors about your product or service. A landing page helps in converting a visitor into a lead, and eventually into a customer. Q. What is the Google Display Network? A. The Google Display Network lets you place ads on a variety of news sites, blogs and other niche sites across the internet to reach more potential customers. A. Remarketing lets you show ads to people who have visited your website or used your mobile app before. When people leave your website without buying anything, for example, remarketing helps you reconnect with them by showing relevant ads as they browse the web, as they use mobile apps, or as they search on Google. Q. Can I set a budget for a campaign? A. Yes. Major PPC engines allow you to set a budget for your campaign. In setting budgets, you can set daily budgets and budget limits at the campaign level and at the account level. There is no minimum budget set for Google AdWords and Bing Ads (formerly Adcenter Microsoft). Q. What is the Google Quality Score? A. Quality score is an estimate of the quality of your ads, keywords, and landing pages. Higher quality ads can lead to lower prices and better ad positions. The 1-10 Quality Score reported for each keyword in your account is an estimate of the quality of your ads and landing pages triggered by that keyword. Having a high Quality Score means that our systems think your ad and landing page are relevant and useful to someone looking at your ad. You can find out your Quality Score for any of your keywords. 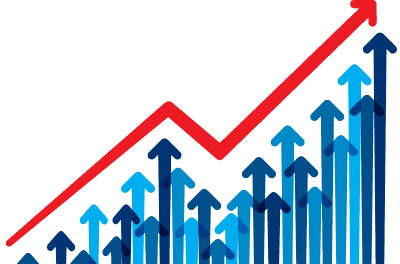 Optimizing your PPC program for relevancy will boost your Quality Score and achieve a higher ad position at a lower cost than your competitor. Q. What is the minimum bid for different PPC engines? One's minimum bid is entirely unrelated to how many other advertisers are using the same keyword. Instead, since August of 2005, the minimum bid has been quality based. To put it simply, the higher the Quality Score of a keyword, the lower one's minimum bid will be for that keyword. The minimum bid required per click for Bing Ads is $0.05. However, factors such as impressions, clicks, and CTRs are significantly lower than Google, since Google has around 60% search engine market share. Q. How do I get better results from my PPC campaigns? Q. How does PPC Management and Optimization help my business? A. PPC Management and Optimization can help improve your ROI. Keep in mind that there is no standard PPC campaign template; that is why LOJO screens every inquiry thoroughly, either for new or existing campaigns. 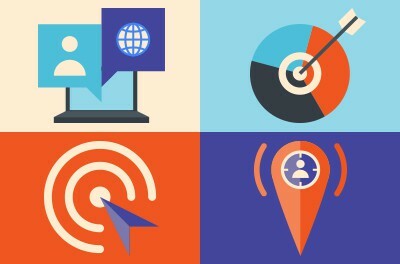 A well-planned PPC campaign helps you target the market you’re looking for. Surely there are different terms that are new to us, but don’t let this hinder your attempt to start a PPC campaign! 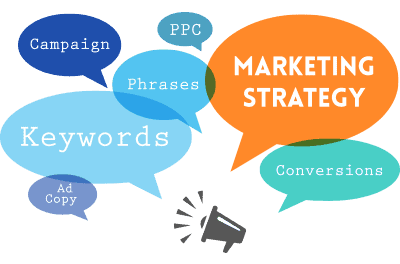 LOJO Marketing can help you in managing and optimizing your PPC campaigns. We can help you understand how your PPC campaign works, manage your PPC campaigns if you simply don’t have the time, and even optimize it according to your end-goals ¾ either to increase conversion to ROI or to keep it on a tight budget. All of LOJO's Digital Marketing services related to online marketing can take time and are not and should not be viewed as miracles expecting for results to be delivered immediately. Depending on the specific industry, geographic, and demographic being targeted, results may very. All plans are set for a contract term of 12 months unless otherwise agreed upon in writing. The purpose of the contract time period is to show web site traffic improvements or equivalent progress toward selected online objectives. After the initial contract time frame, this agreement will continue on a month-to-month basis. If you no longer wish to continue the service being provided we will require a 30-day notice of cancellation of service prior to the monthly auto renewal going into the next monthly cycle. cancellation must be provided via written letter or email. LOJO reserves the right to update marketing plan pricing or services with notice. LOJO does not include the redesign or new website programming as part of any related digital marketing plan. An additional 3% compounding late fee will be assessed with each passing 30 day period until the account will be subject to default if payment has not been received after 60 days. At such time, the outstanding balance for any remaining contract term as well as past due balance will be due immediately and handed over to collections to make further reasonable attempt to collect on monies due from this agreement regardless of future services to be rendered. By nature of signing up for a LOJO Digital Marketing Service Agreement with any of our plans, you hereby agree to the above terms and conditions.